Klaipėda City organisations of science and higher education, business and local community joined their efforts in the beginning of last summer for a common goal – promotion of innovative ideas of business projects in the framework of implementation of the StartUp Klaipėda initiative. The agreement was signed by Klaipėda University, LCC International University, Klaipėda Lyceum, Klaipėda Science and Technology Park, Students’ Union of Klaipėda University and Hotel Chain Tubinas International acting on behalf of business community. ‘The necessity to strengthen cooperation between science and business, to develop interinstitutional networking for contributing to preservation of talents and their attraction to the region was much discussed recently, however practical fulfilment of these goals is rather slow throughout Lithuania. Why? Different reasons are named, and one of them is a lack of interinstitutional communication about common goals that are oriented not only at short-term goals of an organisation but rather at long-term goals that create public value. The ‘StartUp Klaipėda’ initiative is a nice example of inter-sectoral cooperation, where scientific, educational, municipal and business establishments unite for a common goal oriented at a long-term perspective’, stated Head of Recreation and Tourism Department of Klaipėda University Prof. Dr. Diana Šaparnienė. The initiative is oriented at continuity, while the Joint activity agreement was signed between the partners seeing a real need and possibilities to achieve the result. The vision of the idea is to promote generation and development of innovative ideas of business projects. The purpose of the initiative is to promote entrepreneurship and establishment of businesses creating high value added in the city and the region, to create prerequisites for attraction and sustenance of talents; purpose-oriented educational-consulting activities are planned to be carried out on the basis of inter-sectoral partnership, by including academic community professionals, successful entrepreneurs, representatives of local government into the process. 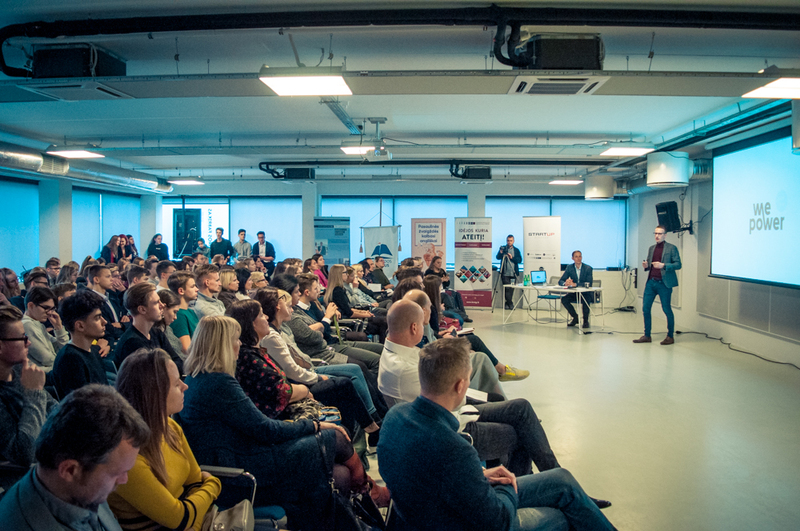 Last Friday, 9 November, the first ‘StartUp Klaipėda’ forum called ‘Successful Start-up. You can!’ was held. The forum was attended by a big number of pupils, students, local community members interested in business startup opportunities. Active Klaipėda resident who has business ideas and is already developing ‘Popa boat’ startup Tomas Vėlius told that this kind of events and initiatives is very important for the port city. ‘I am always trying to attend events of similar nature, which usually deepen my understanding, which is in particular needed in pursuit of my targets. I think, sharing means growing community. Uniting active people, helping in purification of ideas, sharing experiences, observations mean creation of our own future, the degree of our sincerity in these our efforts will shape our future. I am very happy that this type of professional forums are organised. I am grateful to the organisers and looking forward to future meetings’, said Tomas Vėlius.